Maestro Film Foundation presents a new documentary entitled Jose Rizal: The First Hero directed by Paolo Abella and produced by Jourdan Sebastian, in cooperation with Fluidpost and Bigtop. The film is written by Christian Vallez, Jonathan Guillermo and Joem Torallba, while directors of photography are Arvin Viola and Odyssey Flores, production design by Nina Torres and wardrobe of Jose Rizal was created by John Ablaza. Every December 30, the Philippines celebrates Rizal Day and it is considered a non-working holiday in Philippine calendars. A groundbreaking new documentary about the person, the legend, and the mystery that shrouds Jose Rizal. This documentary is a cinematic and utterly truthful presentation of the story of Rizal's heroism, like you've never seen before. Created by a team of young filmmakers dedicated to excellence and backed up by the finest historians with a passion for the truth. 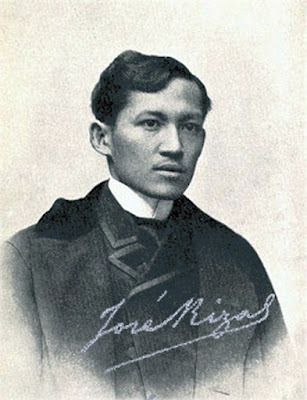 Jose Rizal: The First Hero will be available for private screening this 2012.